Due to many friends and family who have mentioned issues with iron deficiency, I decided to write an article outlining the importance of an iron deficiency, how to properly address the deficiency, and some suggestions of foods to incorporate into the diet to avoid deficiency or low levels. An iron deficiency occurs when there are low levels of the mineral iron in the blood stream. An iron deficiency occurs in the body because the person is not consuming and assimilating an adequate amount of iron from their foods. A great deal of people in society, believe that if they consume meat they automatically have sufficient iron levels due to their meat consumption. The truth however, is that iron deficiency is the most common nutritional deficiency and the leading cause of anemia in the world, according to the Centers for Disease Control and Prevention (CDC). What is Iron & Why is it Important? Iron is an essential mineral that serves many purposes in our bodies. One of iron’s most importance functions is the role that it plays in the body’s blood through protein production. According to the University of California San Francisco Medical Center (UCSF Medical Center), about 70 percent of iron in the body is found in the red blood cells. 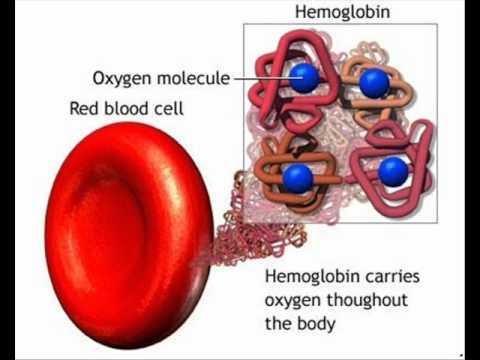 The 70 percent of iron found in the blood cells is known as hemoglobin, where the iron serves the function of transporting oxygen to the body’s tissues – allowing the body to function. In the muscles, iron is known as myoglobin, and serves the function of accepting, storing, transporting and releasing oxygen into the cells to allow the muscles to function. Additional roles that iron plays in the body includes assistance with respiration and energy metabolism through various proteins, the synthesization of collagen and neurotransmitters in the form of enzymes, as well as their role in the immune function, according to an article published by UCSF Medical Center healthcare professionals. The remaining 25 percent of the body’s iron creates circulation in the blood stream through storing itself in the body’s cells in the form of the protein ferritin (UCSF Medical Center). Additionally, the UCSF Medical Center healthcare professionals found that based on iron consumption, men will store about 1,000 mg of iron in the body – which is enough for three years – while women will store 300 mg. – enough for six months. Due to the female monthly menstrual cycle, a woman is expected to lose iron through monthly blood loss – causing her irons levels to be lowered. As a result of the increased frequency of blood loss, women who are at the age of menstruation require more iron in their diet than men and postmenopausal women. The Centers for Disease Control created a table listing the recommended dietary allowance of iron based on each individual’s age and gender. *This value is an Adequate Intake (AI) value. AI is used when there is not enough information known to set a Recommended Dietary Allowance (RDA). As you can see, the recommended level of iron consumption is much higher amongst babies, women between 14 and 50, pregnant women, and teens. The recommended amounts of iron level among men remains fairly consistent throughout life. In plain English; iron levels are important because of their job of providing oxygen to cells. 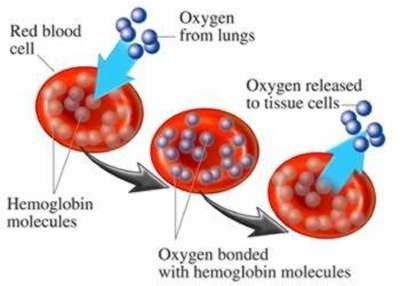 Oxygen allows the cells to function, and our body is made up of cells, therefore in order for the body to function we need oxygen in our cells. When a body has low levels of iron, the cells have a lower amount of oxygen, forcing the body to function at a slower and more lethargic rate. 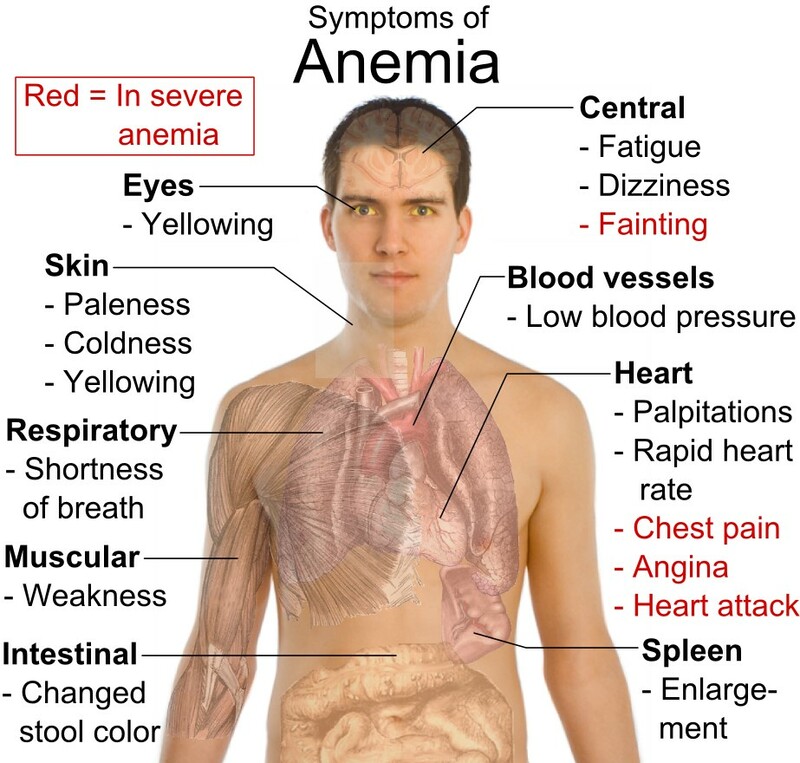 The CDC stated that low iron (iron deficiency or anemia) can impair the body’s functions and is a major concern. 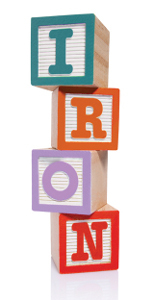 Delayed normal infant motor function, or normal activity and movement, as well as mental function, which consists of normal thinking and processing skills. 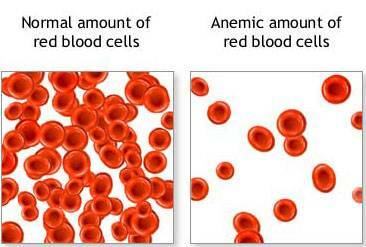 Iron deficiency anemia during pregnancy can increase the risk of small or premature babies, which can be detrimental. Small or premature babies are more likely to have health problems or die in the first year of life than infants who are born full term. In adults, iron deficiency can cause fatigue that impairs the body’s ability to do physical work. Amongst teens, iron deficiency may affect memory or other mental functions. The reason iron deficiency has become such a problem is iron deficiency is the most common nutritional deficiency and the leading cause of anemia in the United States (CDC). (*) Indicates non-heme iron sources. To improve absorption, eat these foods with a vitamin-C rich food. Sources: USDA Nutrient Database for Standard Reference, Release 24, 2011 and Manufacturer´s information. The RDA for iron is 8 mg/day for adult men and for post-menopausal women and 18 mg/day for pre-menopausal women. Vegetarians (including vegans) may need up to 1.8 times more iron. As you can see from the chart above, iron can be found in very high amounts in many plant-based foods (foods grown from the earth). A factor that must be considered however, is that there are two forms of iron – heme and non-heme – and both are absorbed differently by the body. Heme and non-heme iron is found in animal products, while only non-heme is found in plant foods. Heme iron is better absorbed by the body, while non-heme iron is absorbed in the presence of vitamin C.
According to VRG.org, the Vegan Resource Guide, animal flesh (meat) is made up of 40 percent of heme iron and 60 percent of non-heme iron. Plant-based foods (vegetables, fruits, grains, nuts, legumes and seeds) are made up 100 percent non-heme iron. As a result, meat can be eaten alone and iron will be absorbed by the body, although is a plant-based food was eaten alone the iron would not be absorbed. Based on this information, many people believe that meat is the better choice when seeking iron in the diet. However, most plant-based foods also contain vitamin C, therefore allowing the body to fully absorb the iron without any fuss. The Vegan Resource Guide, VRG.org, found that people who do not eat meat will often consume higher levels or iron because they are eating a large variety of foods that contain iron, more frequently. The Vegan Resource Guide, VRG.org, also found in a survey, is no more common among vegetarians and vegans that it is among the general population. I share this information not to guide you towards vegetarianism, but to demonstrate that meat does not, and probably should not, be your only source of iron. Regardless of the type of food that you choose to consume to increase iron levels, it is important that you remain conscious of the body’s iron levels – especially if you have had low levels in the past, it runs in your family, or if you are at an age where recommended iron levels are increased. If you or someone you know has an iron deficiency it is important that they talk to their doctor. If the deficiency is very low the doctor will likely request that the patient begins taking a supplement to stabilize levels. At any time during this process the patient can begin eating foods with higher levels or iron. One thing that must be considered, however, is that plant-based iron sources are absorbed differently than animal-based iron sources. I hope you enjoyed this article about iron and that it will be helpful to you and your family. If you have any questions or concerns, please let me know!